As youth unemployment increases in South Africa, entrepreneurial start-ups are fast becoming a necessary avenue for school leavers to start their careers. In this spirit, the J&B Hive is an enterprise development project started by J&B and Diageo that aims to empower creative entrepreneurs with equity-free investment and mentorship. 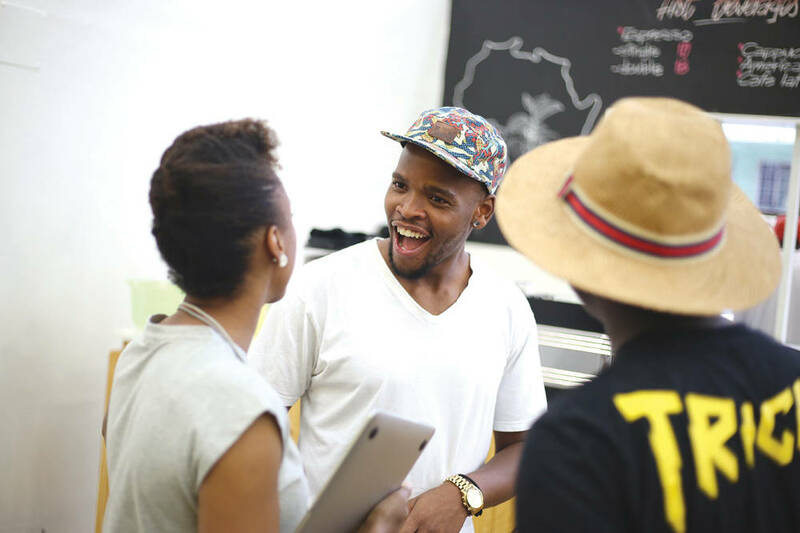 Started in 2015 and set in a bustling part of Braamfontein, the Hive is a communal workspace, event venue and creative incubator where local entrepreneurs can apply for equity-free investment to help grow their businesses. 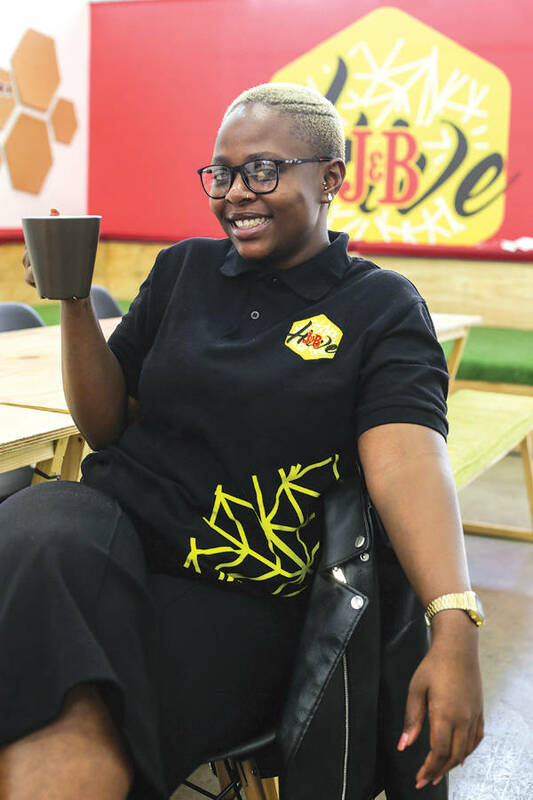 “Since we began, we’ve found that we have a knack for helping individuals and teams who have started something promising take things to the next level,” says J&B Hive director Sibongile Musundwa. Currently, the Hive community consists of 45 small businesses all rooted in the creative industry – from fashion and photography, to cinema, music and more. New membership recruitment happens bi-annually, and successful applicants are given financial support, mentorship, training and access to a membership network filled with the potential for synergy – along with access to the coworking space and its tech and media equipment. “Entrepreneurship can be risky, so we’ve found it worthwhile to develop those who have already made an investment into their business idea, as we know they’re opportunistic, optimistic and even charismatic,” says Sibongile. One example is Walk Fresh, a Daveyton-based boutique sneaker cleaning and shoe-care service that, since initial investment in 2016, has doubled its staff employment, drop-off points, revenue and capacity and now has its sights set on Soweto. Then there’s artist Nondumiso Qba Nkosi, whose Bedoo Productions received initial invesment in 2017. Since then, her beaded headdresses have been worn by models and celebrities at the New York Fashion Week, the BET Awards and more. Finally, animated video producers Dipopaai Studios are known for their viral YouTube series, Kronikles of Hip Hop. They joined the J&B Hive in 2018 and have since developed a pilot for a new animated TV show called “Survival Island”. On a personal level, Sibongile says it’s rare to be able to come to work everyday and know that you’re enabling individuals to reach their achievements. “Whether it’s something as simple as Wi-Fi, or if it’s with equipment or financial backing, we want to demonstrate that we appreciate the value that creative entrepreneurs add to society,” she says. Given that entrepreneurship can also be lonely and isolating in a world where “who you know” matters tremendously, creating a networked community such as J&B Hive is significant for young South African entrepreneurial minds.